Date of issue: 24.10.14 Узнать о наличии версии 2015 года! The research presents 119 schedules, 85 diagrams and 82 tables. In 2010-2011 positive dynamics of the world fruit market kept, however rates of the surveyed parameter were various. Thus, in 2010 the market volume increased by 2% and reached ** mln tons. The main contribution into fresh fruit and berries market increase was made by the increase of gross yields in the world by 8,74 mln tons compared to 2009. Besides, during the surveyed period the world import increased also – by **% or 4** mln tons, that along with fruit production growth contributed to the market volume increase in 2010. In 2012 rate of the surveyed parameter growth was negative: volume of the world market decreased by **% or ** mln tons. An insignificant import (-*%) and production (-0,*%) of fresh fruit and berries decrease was marked during this period, so total parameter of the world market in 2012 decreased to ** mln tons. According to preliminary estimates, in 2013 yields volumes increased by ** % and reached ** million tons, having got closer to the level of 700 mln tons. The driver of these changes was the growth of fruit and berries production: during a year gross yield increased by ** mln tons and reached ** mln tons. Volume of fruit and berries import increased also by ** mln tons. All these parameters contributed to the market volume increase by **% compared to the previous year. It also should be marked that in 2009‑2013 the world export amounted to about **% of total fruit and berries production volume in the world. Internal fruit and berry products collecting provides about one third of the domestic market demand in fresh fruit therefore Russia annually imports about ** million tons of this produc. Volume of fruit import to our country in 2009-2011 increased gradually. 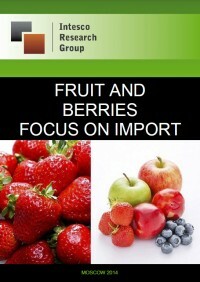 The greatest rate of growth of fresh fruit and berry products import in 2010 was marked and made 11%. Two years later import reduced slightly: by **% or ** thousand tons. For last year Russia imported ** million tons of fruit and berry products. In general, in 2013 import volume amounted to *** mln tons. In 2013 the largest fruit suppliers were Ecuador (**%), Turkey (**%) and Poland (8%). Spain ranked fourth in import structure (**%). The largest volume of fresh mango import in 2013 belonged to "TANDER" JSC (20%). We will remind that the "TANDER" JSC company realizes direct import of fruit and berry products for "MAGNIT" retail network, annually increasing volume of fresh fruit and berries deliveries to shops of the network. The share of other large distributor - "FRUIT ALLIANCE" LLC, is twice less (9%). 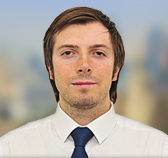 "TORVIL" LLC has 7% in the considered structure, "MIKSLINE" LLC - 5%. 4% in 2013 belonged to "GRINLIME" LLC , "VELESTORG" LLC and "ZOLOTOY FRUKT" LLC companies. "TANDER" JSC company was the leader by the volume of the Russian exotic mango import in 2013. In total this distributor purchased more than ** ths tons of this fruit on the international markets. This is the single supplier on the domestic market who bought more than 1 ths tons of the product in the considered year. In the range from ** to ** tons two companies settled down: so, import volume of "FRUIT ALLIANCE" LLC made ** tons, and a similar parameter of "TORVIL" LLC - ** tons. In 2013 other large distributor of mango – "MIKSLINE" LLC purchased (** tons) a little less. Table 50. Volumes of Russian pears and quince import by largest supplying countries in 2009-2013, tons. Schedule 80. Dynamics of Russian pineapples import in 2009-2013, tons.